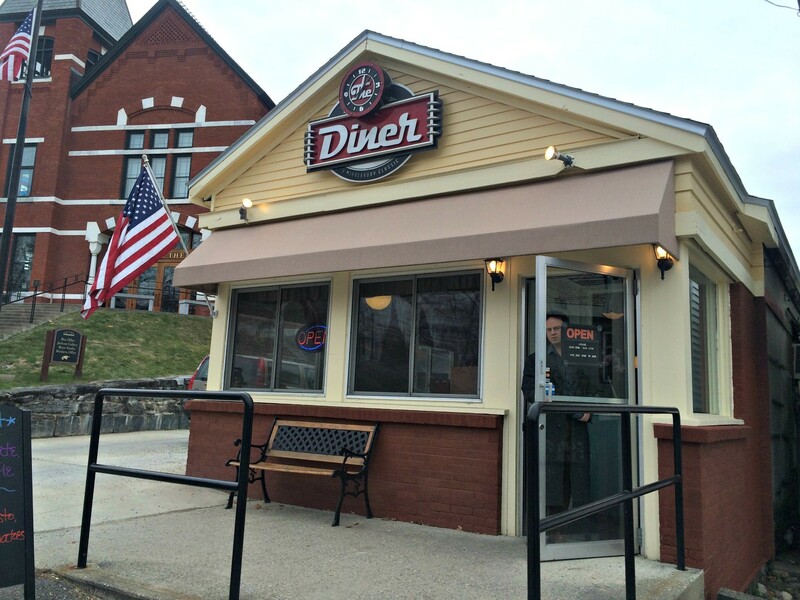 Sometimes, a name as simple as "The Diner" tells you all you need to know about an eatery. You can expect hearty portions of eggs and hotcakes, milkshakes and waitresses who call you "hon'." All those things flow freely at Middlebury's newest entry in the genre, but its simple name doesn't do it justice. In April, Caetlin Harwood and Carl Roesch took over the 1930s Val-Do-Mar Diner, most recently known as Steve's Park Diner. They brought with them an eclecticism uncommon at greasy spoons. Specialties include huevos rancheros and "Green Eggs & Ham" colored with pesto. The diner's version of steak and eggs replaces the former with braised short ribs. 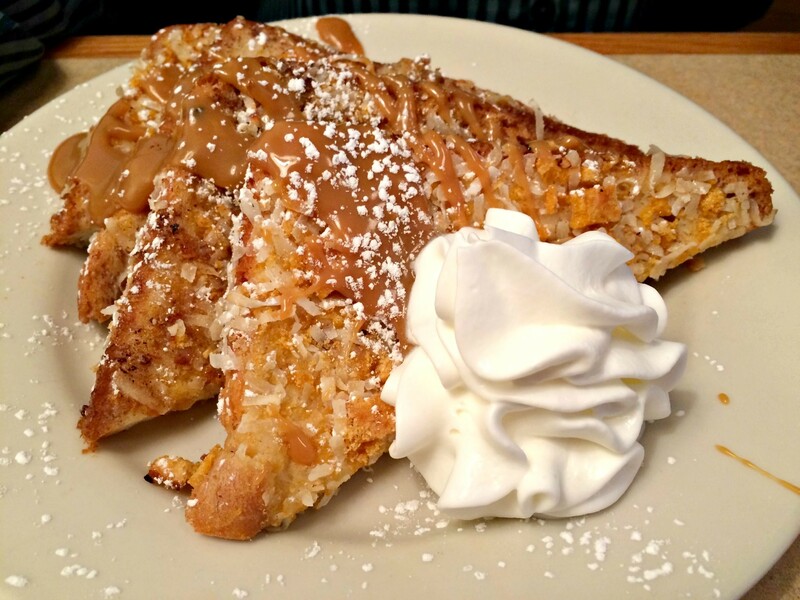 But the quirkiest options are on the menu's stuffed French toast section. The Elvis predictably includes peanut butter and bananas. The Popper merges cream cheese, bacon and jalapeño jam in a take on jalapeño poppers in French toast form. But we just had to try the Captain ($8.95). Dipped in coconut and Cap'n Crunch, the stack could easily have migrated south into overkill. But it didn't. As French toast, the dish succeeded vigorously. Meltingly moist inside, the bread was drenched in cinnamon flavor. Outside, the coconut provided a pleasant crunch. The broken shards of cereal provided little more than sweetness and a gimmick. And then there was the drizzle of caramel sauce. Miraculously, my blood sugar remained sustainably in check, which was all I could ask, beyond the enjoyment I was experiencing. But there was something more important on the horizon. 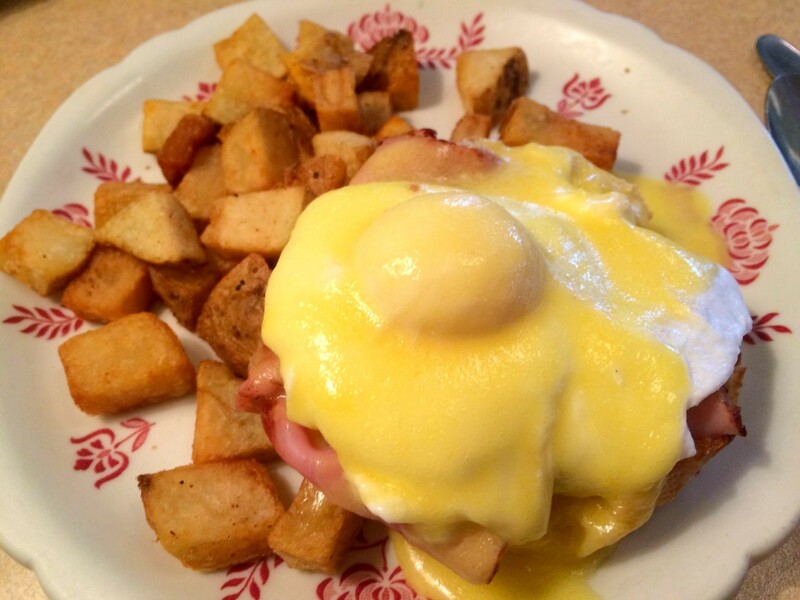 Breakfast and lunch are both served all day long at the Diner, so it's easy to mix and match. Though a kielbasa corn dog called me faintly, I had no choice but to order the Yum Yum Naan ($9.50). I tend to be unforgiving about Korean beef not prepared by Koreans. Korean tacos rarely hit the right spots for me. 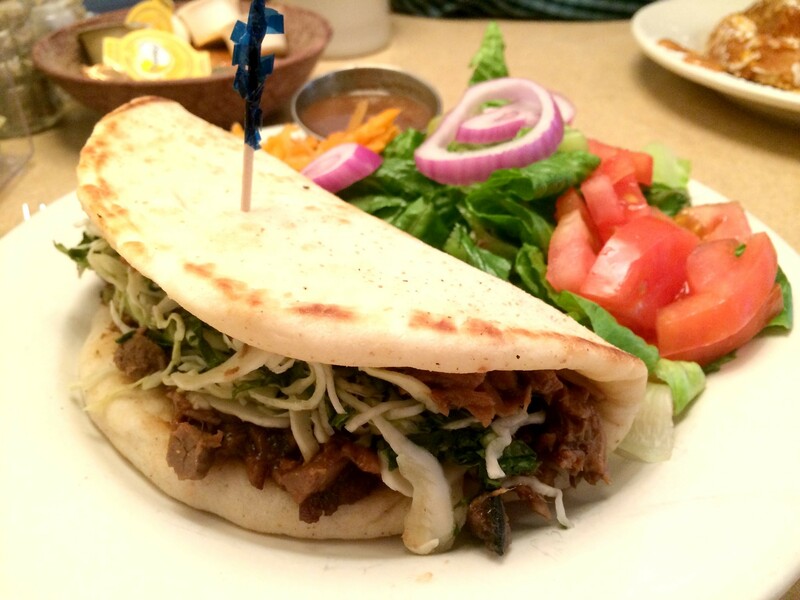 But tucked inside a pita at a diner, I found a huge portion of chopped beef I could get down with. Sure, if it had been served to me at a Korean barbecue place, I would have been bummed. But for a diner in Middlebury, the tender meat successfully merged sweet, tangy and garlicky notes. Paired with a crunchy Asian slaw, it was my kind of comfort food. I chose to complete the plate with a glimmeringly fresh side salad, but wished I'd gone for the sweet potato fries once I tried the low-flavor balsamic dressing. Not that I really needed either when I'd ordered a side of breakfast. The Diner's three versions of eggs Benedict are all available in half portions, and I couldn't resist. My $4.50 investment was rewarded with extra-buttery Hollandaise over salty ham, but the egg was cooked too hard, with nary a hint of liquid. 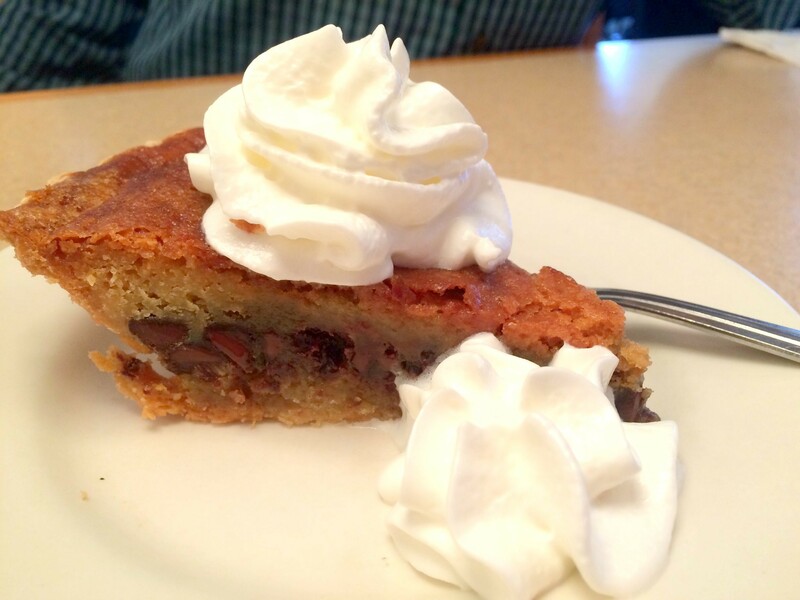 Though admittedly rank overkill, I ordered the Tollhouse pie special, and I'm glad I did. There's no such thing as bad Tollhouse pie, but this soufflé-light entry in the category was a melty, chocolaty winner. I left the Diner feeling like I'd earned a trip to Overeaters Anonymous, but I didn't break the bank. At little more than $30 even after tax and tip, I still had plenty of cash left over for spin class.